Before work, I gave a Seinfeld million to the barista at CC’s drive thru. After work on Saturday, I gave out million dollar bills at Walmart. I would ask “Do you have change for a million?” Then I would say that it was a Gospel tract. 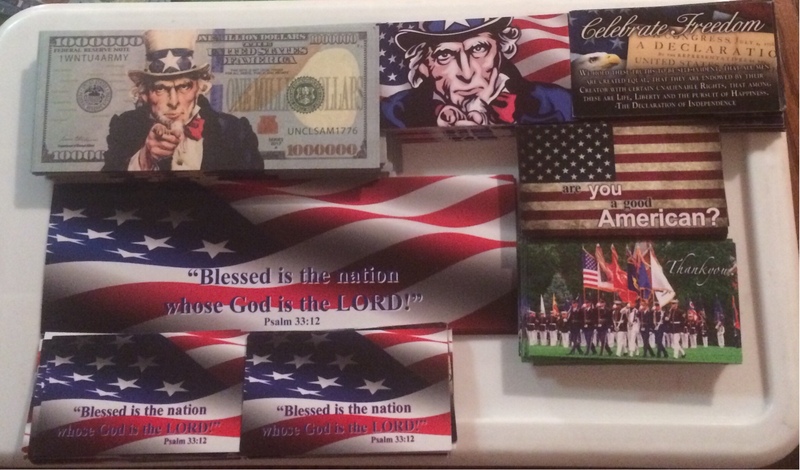 I met the #DailyTractChallenge by leaving a tract on a display of 4th of July merchandise. 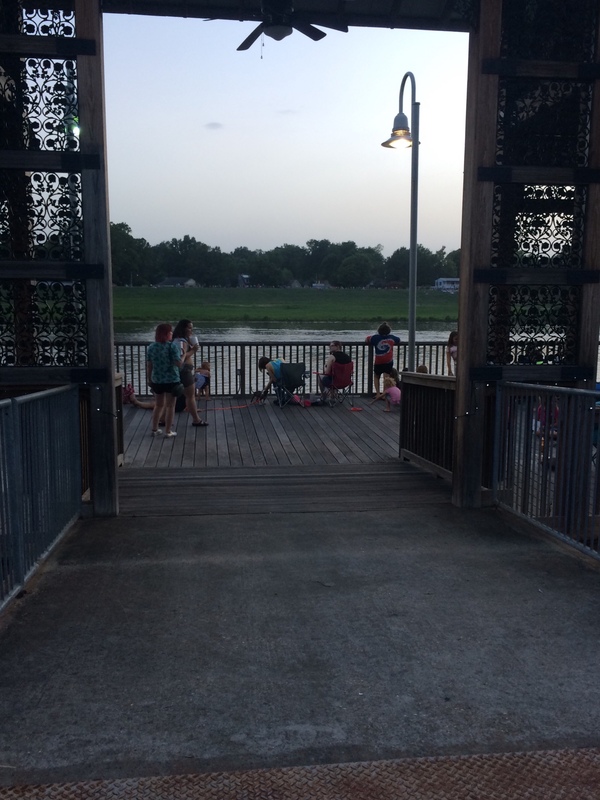 I saw where a musician was playing nearby at a 4th of July celebration. She played in a night club that I frequented in my “before Jesus” days. It was over when I got there. I talked with “General” Patterson who played in her band. He was finishing loading up. She said that she had just left. I shared with him my testimony briefly and gave him a patriotic bookmark. Another man took one, too. Saturday day night, we had a crew of 6 to go to the local fireworks display here in Monroe. We got there around 7. It seemed a little slower than normal, possibly due to the heat. We were able to give out between 600 - 700 tracts and bookmarks. We had several conversations. Lance and Marshall had a good conversation with Jay. He seemed very receptive. J’ mile told me that he would read his tract later. A group of three Hindu young people took the Uncle Sam million. I saw several people who were customers from where I work. The children liked the Minion millions. One man in a family who took millions said that he didn’t go to church, but his wife did. Bro. Billy was really encouraged as he gave out tracts. Please pray for fruit from our efforts.